The greater Columbia Region will be honored in June at the Association of Defense Communities National Summit in Washington, DC as a Great American Defense Community (GADC). 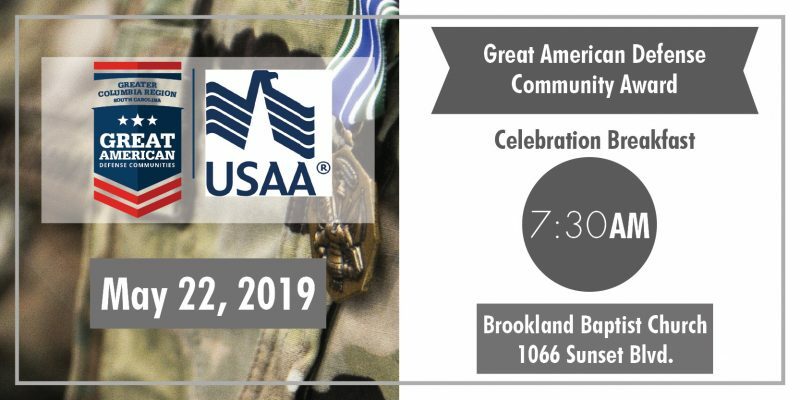 To celebrate this award and all of the organizations that help make us a GADC Community, the Columbia Chamber will host The Great American Defense Community Appreciation Breakfast on May 22, 2019. This breakfast will unite the military with the business community so that we can celebrate together this distinguished award. 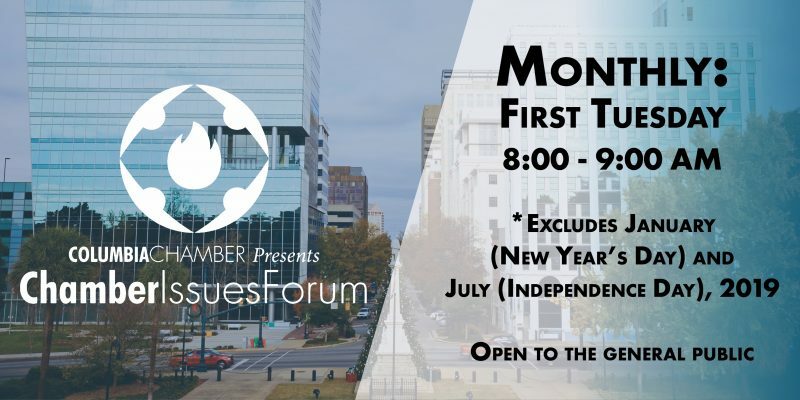 The Chamber will show its appreciation to honorees from the SC Military Base Task Force, WIS TV Year of the Veteran, Fort Jackson Educational – Student Ambassador Program, University of South Carolina Education Outreach Program, and Fort Jackson Spousal Employment Program. For more information regarding Military Affairs, please email Susan McPherson or call (803) 733-1148. We reached over 9,000 people last year through the communication efforts and had over 150 golfers in attendance. Sponsors are recognized in a variety of ways at this partner-favorite event and you’ll have the opportunity to personally welcome golfers to your tee or green. Beverage Cart Sponsor: $2,000 - Four Available - Three SOLD: Wells Fargo, Schmoyer and Company, LLC, Haynsworth Sinkler Boyd, P.A. Tee or Hole Sponsors are welcome to bring their own tent, table, and chairs or we will be happy to set up these items for you. This rental includes a 10×10 tent with signage, (1) 6’ skirted table, and (2) chairs. For more information regarding sponsorships or events, please email Ashleigh Conner or call (803) 733-1138. Your sponsorship for our annual gala helps us celebrate the business community and you reach a large, diverse audience of business leaders in the Midlands. Last year the gala attracted over 460 attendees from a variety of industries including finance & insurance, advertising & media, legal, government, construction, real estate, and health care. Spirits Sponsor: $8,000 - Exclusive - SOLD: Gregory Electric Co. Diplomat of the Year – SOLD: Willoughby & Hoefer, P.A. This dessert reception is a time to celebrate the honorees of the evening. Entertainment Sponsor: $4,000 - Exclusive - SOLD: Haynsworth Sinkler Boyd, P.A. What is Power in Heels? 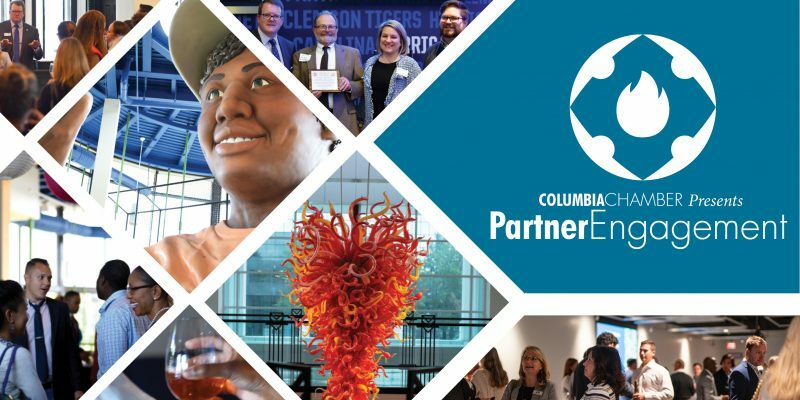 Power Partnership in the Columbia Chamber allows companies to engage in a meaningful way, getting you in front of the industry and government leaders of interest to you and your business. Exclusive Power Partner events are held throughout the year to provide greater opportunities to interact with key government, military, and business leaders in our region. Power in Heels is an evening for female Power Partners to network and talk with women in business in the Midlands. For more information regarding sponsorships and events, please email Ashleigh Conner or call (803 733-1138. Once a month you have an opportunity to reach over 75 of our Partners in a networking event. Partner Engagements are a fun and rewarding way to meet people from different industries and highlight your business after hours. Partner Engagements are on the second Tuesday of the month from 5:00-6:30PM, except for July and December. All sponsors must be a current Chamber Partner in good standing. * Any Host Sponsor agrees to accept all duties and responsibilities concerning the service of alcohol. Responsibility for supervising the service of alcohol and not over serving individual patrons is that of the Host Sponsor. The Columbia Chamber is not responsible for any matter concerning the service of alcohol. The Columbia Chamber is not a licensee or vendor of alcohol. All sponsors must be a current Chamber Partner in good standing. For more information regarding Partner Engagements, please email Anna Peterson or call (803) 733-1155. 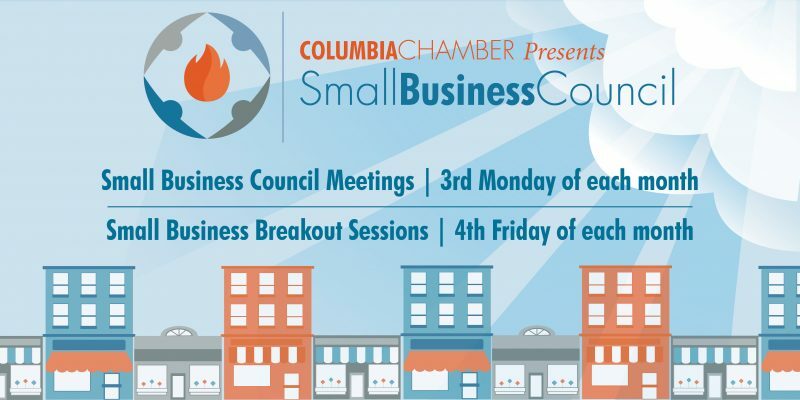 The Columbia Chamber’s Small Business Council is crucial to our mission of promoting growth and enhancing community awareness of women-owned, minority-owned, and small businesses. This is an opportunity for you to interact with those small businesses in our region. 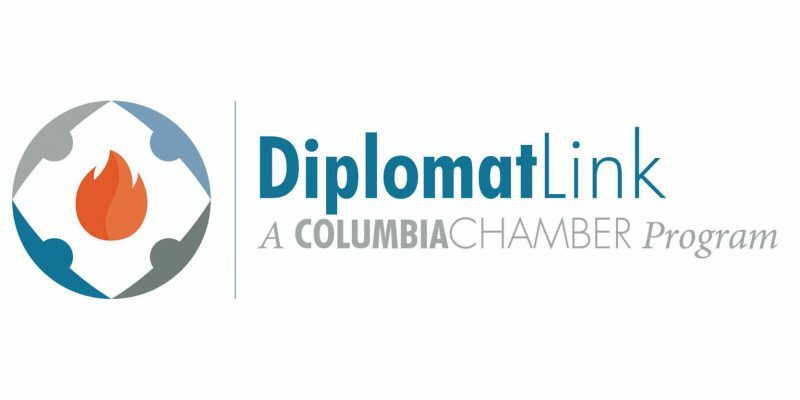 Diplomats act as an extension of the Chamber staff throughout the community, adding support and lines of communication to our Partnership. A Diplomat’s first and most important objective is to provide outreach and assistance to Partner businesses throughout the year. Connections may be in-person, by phone, or via email. The Diplomat Link expands our reach and provides additional touch-points to enhance the Partner experience. For more information regarding Diplomat Link, please email Chelsey Allen or call (803) 733-1133. What is the Midlands Youth Apprenticeship (MYA) program? 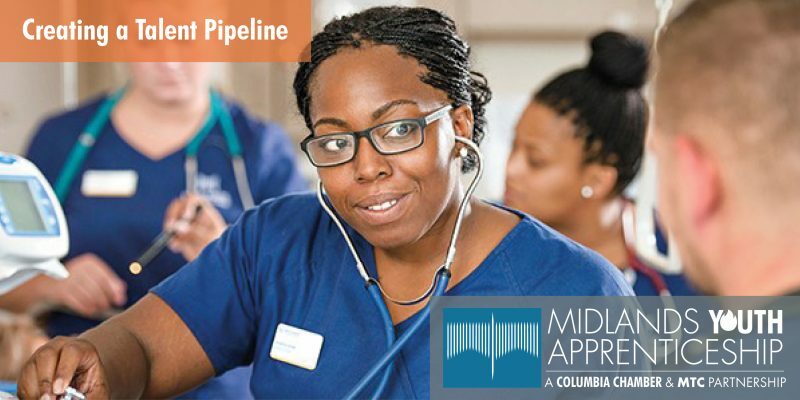 The Midlands Youth Apprenticeship (MYA) is a program designed to help create a talent pipeline for area businesses while creating a viable workplace path for students after high school. It is enhanced by a partnership with Midlands Technical College. Students involved in the Youth Apprenticeship Program take normal high school classes while simultaneously attending Midlands Technical College two to three days a week in dual enrollment classes. At the end of a two-year program, students will have earned a high school diploma, certification in a specific field from Midlands Tech, credentialing from the U.S. Department of Labor, and two years of paid work experience. The businesses who participate in this program will have created a worker who is ready on Day One to work in the specialized positions that their company requires. The MYA program fulfills a need expressed by businesses for skilled workers and equips a high school student with a job that can provide a solid and stable foundation upon which to build a prosperous life. MYA creates a talent pipeline for area businesses while creating a viable workplace path for students after high school. Your donation enables the Chamber to continue to enroll students in this program which in turn creates workers for the future. For more information about MYA Program, please email Chelsey Allen or call (803) 733-1133. The Columbia Chamber’s Northeast Link (CCNL) brings small businesses in the Northeast region together in one location. The CCNL serves as an advocate for small business issues in our community and provides a forum for education, networking, and motivation. The Chamber is focused on creating and promoting an environment where businesses can flourish. The link between the Northeast region and downtown Partners will strengthen relationships, promote growth, and enhance community awareness for small businesses. For more information regarding Northeast Link, please email Ashleigh Conner or call (803) 733-1138. 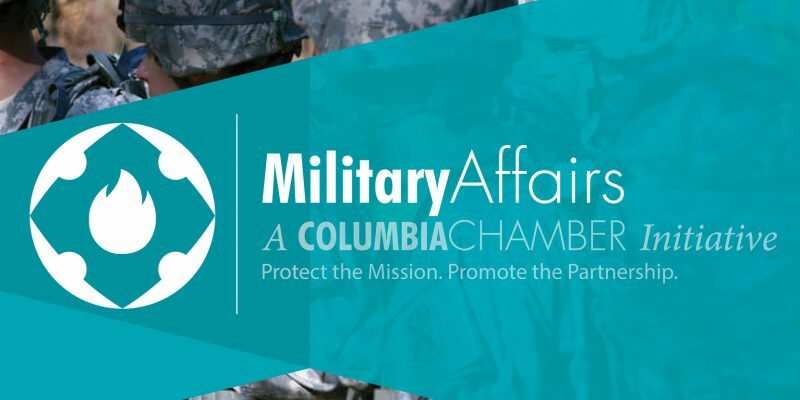 Columbia is proudly called “The Most Military Friendly Community in America.” There are numerous programs and organizations who create great value for our military. We are home to the US Army’s largest training base at Fort Jackson, the South Carolina National Guard and McEntire Joint National Guard Base, Department of Defense Contractors, and the US Army Reserve. The combined economic impact of these military operations is in excess of $4.1 billion dollars per year. The Chamber’s work in this space includes strengthening relationships between the community and military; supporting military families; and retaining and expanding the local military footprint. This involves interacting with numerous constituents including local leaders, elected officials (city, county, state, and federal), and military outreach groups. Outside of our state, the Chamber works closely with colleagues in Washington, DC to monitor military-related legislation and issues. The economic impact of the military community in Columbia is significant with Fort Jackson alone representing $2.4 billion annually. There are over 250,000 visitors who come to Columbia each year because of the military. These visitors stay in local hotels, dine and shop at local establishments which in turn benefits the Partners of the Chamber through increased business. The benefits of sponsoring military-related activities of the Chamber are two-fold. One, sponsorship of the Military Outreach Group provides an opportunity for Chamber Partners to interact with military leaders and visitors to promote their services. Secondly, supporting the Chamber in regards to military activities allows us to deepen and strengthen the working relationship between us and the entire military presence in our area. An inherent and fundamental benefit which underlines all of the work we do for the military is the extreme gratitude and sincere thanks that our community gives to the military and their families who serve our great nation. 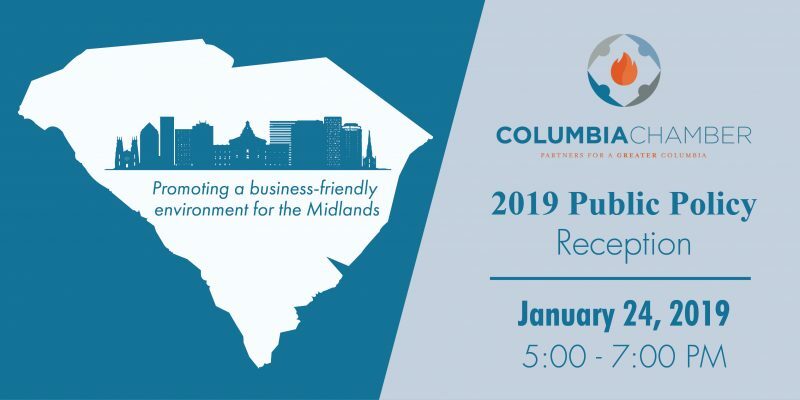 The Columbia Chamber’s Small Business Council’s mission is to promote growth and enhance community awareness of women-owned, minority-owned and small businesses. This is an opportunity for Chamber Partners to interact with the small businesses in the region. 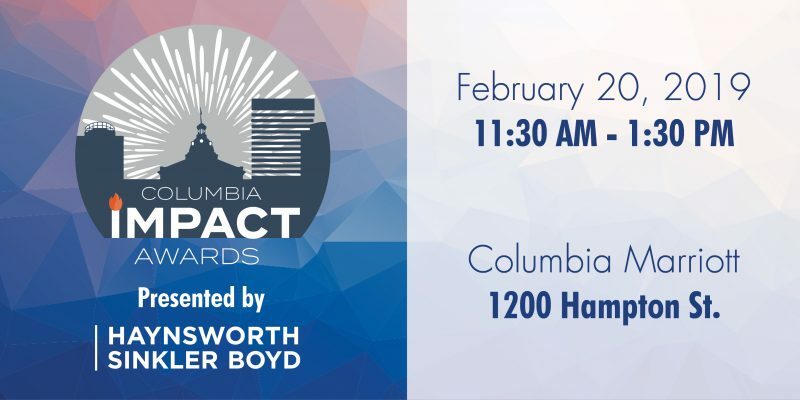 What are the Columbia Impact Awards? The dedication of outstanding organizations and individuals – continually striving to be the best and improving their community in the process – makes the Columbia region a vibrant place to visit, live, and do business. 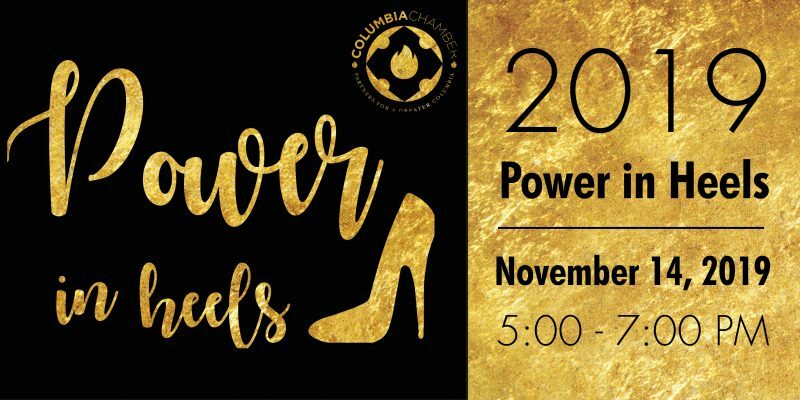 The Columbia Chamber’s Impact Awards recognizes dedication to excellence in the following categories: Cathy Novinger Trailblazer Award, Diversity and Inclusion, Small Business Award, Golden Nail Award, and the Partner of the Year Award. Show your support for your fellow Partners and your community. Our Partners represent some of the region’s most important and influential corporate leaders, small business owners, young professionals, educators, and more. 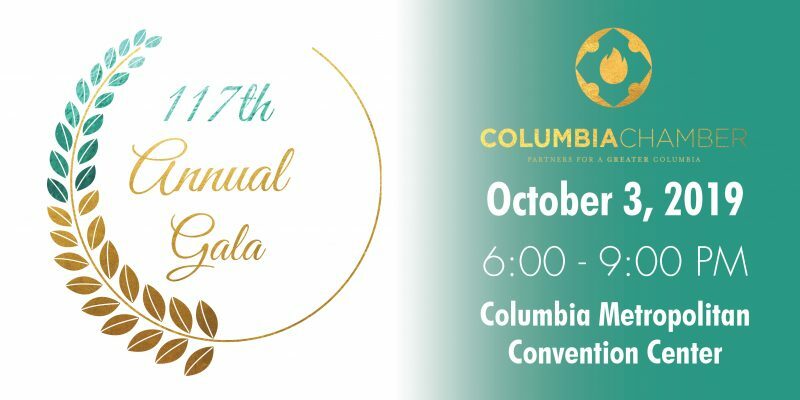 Sponsor the Columbia Impact Awards to show your support of the Chamber and our distinguished honorees. Presenting Sponsor: $5,000 - Exclusive - SOLD: Haynsworth Sinkler Boyd, P.A. Award Sponsor: $2,000 - Four Opportunities Available - SOLD: BlueCross BlueShield of South Carolina, Columbia Museum of Art, Wells Fargo, & Willoughby & Hoefer, P.A. Diversity and Inclusion – Willoughby & Hoefer, P.A. What is the Public Policy Committee? The Columbia Chamber strives to promote issues that are important to regional growth and support public policy and economic development. By creating and maintaining a unified body, we continue to make great progress in developing a regional vision. Our Partners represent some of the region’s most important and influential corporate leaders, small business owners, young professionals, educators, and more. This is an opportunity for Chamber Partners to interact with the local legislators, City and County Council, and key staff. 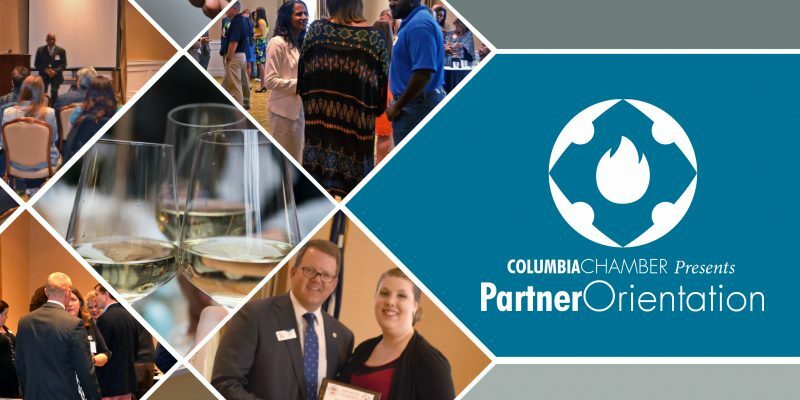 The Columbia Chamber strives to connect with our new Partners by hosting a quarterly orientation and reception. New or current Partners may attend to meet the staff, introduce their business, and familiarize themselves with the variety of benefits the Chamber offers. 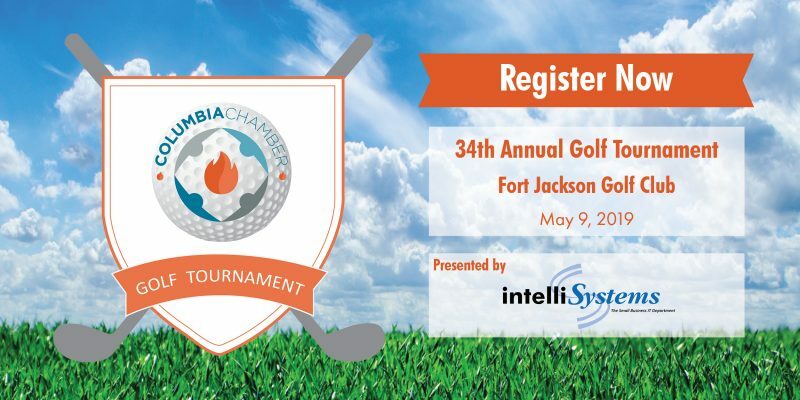 This sponsorship opportunity is a great way to welcome new Partners and be one of the first businesses to connect with them. All sponsors must be a current Chamber Partner in good standing. For more information regarding Partner Orientation, please email Anna Peterson or call (803) 733-1155.